Teaching reading IS rocket science and unfortunately the difficulty of learning to read and teaching it has been underestimated, one reason why many children develop reading problems. For an in-depth review of what expert literacy teachers should know, click on the following link for valuable information: Teaching Reading Is Rocket Science! Our experiences in literacy education, however, have taught us a very important lesson: KEEP IT SIMPLE! So let's focus on the most essential reading skills first. By doing this, we ensure the most important literacy skills are taught and we increase the likelihood all children will learn to read. 1. PHONEMIC AWARENESS - Part of phonological awareness, phonemic awareness is the ability to hear and manipulate the individual sounds in words. For example, taking the spoken word "dog" and separating it into three distinct sounds, /d/ /o/ /g/ requires phonemic awareness skill. Why is phonemic awareness important? Simple. Because of it's strong correlation to reading fluency. 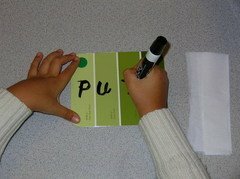 The research is clear; children who develop strong phonemic awareness skills at an early age are more likely to become fluent readers and better spellers than children who do not. Read that last sentence again! Kids need strong phonemic awareness skills to support literacy development! When teaching reading, we must include phonemic awareness. Parent Tips - Parents, make sure you are building phonemic awareness skills at home! PHONEMIC AWARENESS ACTIVITIES PAGE for FREE Phonological Awareness Activities and Phonemic Awareness Activities that you can download! Also, make sure phonemic awareness is explicitly taught in your child's kindergarten and first grade classrooms! Want to learn more? Visit the Phonemic Awareness Page for more information and to learn which phonological awareness resources we recommend for parents and educators. 2. ALPHABETIC PRINCIPLE - The understanding that letters are used to represent the speech sounds of our language. 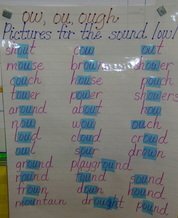 Children must demonstrate the ability to associate sounds with letters and use these sounds to form words. We use the letters of the alphabet often alone (basic code), often in two's and in groups of three and four (advanced code) to represent the sounds in our language. In a perfect world, our written language would consist of just basic code. Every sound in our language would have just one letter assigned to it. Our written language would be very simple to decode. Teaching reading would be easy and reading and spelling problems would be few and far between. Unfortunately, our written alphabetic code contains advanced code. Quite frequently, sounds are represented by more than one letter and letters represent more than just one sound. The more advanced the code, the more difficult it is to crack that code. The more difficult it is to crack, the more difficult it is to read fluently. The better children understand the code the more automaticity they will develop. Let us be very clear: Advanced code creates many of the reading and spelling problems our children experience. For dyslexics, the advanced code can be a nightmare. Here is the good news! When our code is taught properly, many of these literacy difficulties go away. So what is the key to our children learning to read? Effectively teaching them to break the code! This site is going to help you do this! Parent Tips - Parents, be sure your children master the written code. Check out the READING ACTIVITIES I PAGE and the READING ACTIVITIES II PAGE! Want to learn more about cracking the code? Visit the Reading Activities I Page and the Reading Activities II Page for free reading activities designed to help children develop great reading decoding and reading fluency skills. 3. 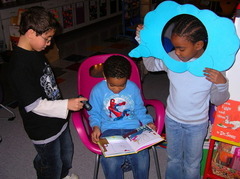 READING FLUENCY - Reading Fluency is the ability to read a text accurately, quickly, and with appropriate expression. Fluent readers demonstrate an effortless and automatic ability to read words in connected text. They read as if they were speaking. Ultimately, the purpose for reading is comprehension. There is no point to reading if not to gain information. While reading comprehension is the ultimate goal of reading, reading fluency is the key to achieving it! Without sufficient reading fluency, children will not have sufficient comprehension. Let me reiterate this fact! If we want our children to comprehend we must teach them to be fluent first! Too often, this is the neglected goal of reading instruction and our children have suffered because of it. Thankfully, research has provided us with widely recognized reading strategies that sufficiently teach reading fluency. Our charge is to implement these strategies when teaching reading and purposely teach our children to read fluently. 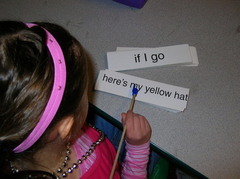 ReadingResource.net provides you with simple methods to teach reading fluency! Parent Tips - Have your children read aloud to you as much as possible. While silent reading serves a purpose, it is not a proven way to increase oral reading fluency! 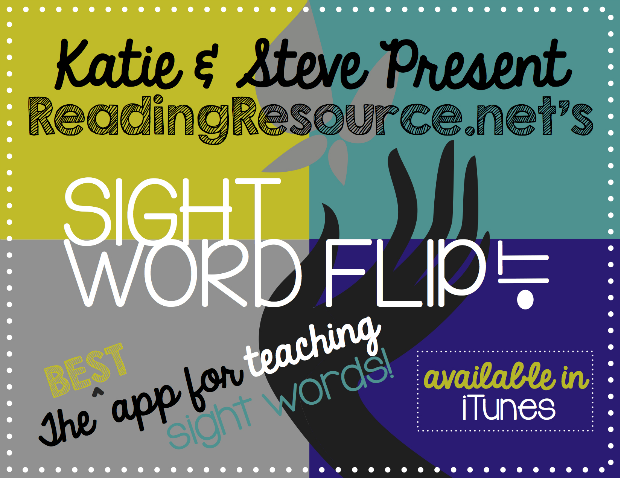 Want proven strategies and teaching resources to promote reading fluency? Visit the Reading Activities I Page, Reading Activities II Page, and the Reading Fluency Page. 4. VOCABULARY - Vocabulary refers to the words we must know in order to communicate effectively. 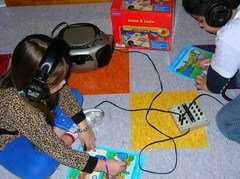 With relationship to reading, vocabulary plays an important role in two major ways. When learning to read, children have a much more difficult time learning to read words that are not already a part of their oral vocabulary. Vocabulary is very important to reading comprehension. Simply put, children cannot understand what they are reading without knowing what most of the words mean. Children learn most of their vocabulary indirectly through everyday experiences but some vocabulary should be taught directly to support reading comprehension. On the Reading Vocabulary page, we cover this broad topic in depth and highlight the type of vocabulary skills we find essential when teaching reading. Parent Tips - Parents, read aloud to your children. This is a top strategy for building their vocabularies. Once they read fluently, encourage them to read extensively on their own. These are two of the best ways to expand vocabulary and oral expression skills. 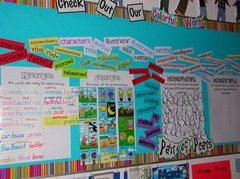 Check out the Reading Vocabulary Activities Page for information on the best vocabulary teaching tools we have used when teaching reading plus many other great vocabulary activities and resources! The highest predictor of a child's reading comprehension level is their ability to decode text! If one can understand the meaning of spoken language, they should be able to understand the meaning of written language. And the only way to be able to understand the meaning of written language is to be able to read it accurately and fluently.Because reading comprehension is the ultimate goal of reading, we can place too much emphasis on its direct instruction. This usually happens at the expense of teaching phonemic awareness, alphabetic principal and oral reading fluency. A mistake we have witnessed repeatedly in education. While traditional comprehension activities are important when teaching reading, they will not have any impact on a child's comprehension unless the child is reading accurately and fluently. When teaching reading, focus on creating fluent decoding skills as they underpin everything that follows! Parent Tips - Talk about everything you see and do with your children. Their background knowledge is key to your child's reading comprehension. Plenty of our favorite reading comprehension strategies, resources and free reading comprehension worksheets can be found on the Strategies for Reading Comprehension Page.